Want to know what it’s like to be a Pitt student? Follow our Social Media Ambassador team for an inside look at life at Pitt from a variety of uniqueperspectives. Follow these Pitt students on Instagram and Twitter for a glimpse into their day-to-day lives in class, on campus, and exploring the city of Pittsburgh. Use #MyPittStory to find and follow them! Reputation: Pitt is consistently ranked among the top 100 research universities in the world. And Pitt is the #1 public university in the Northeast and one of the best in the world, according to the Wall Street Journal/Times Higher Education. 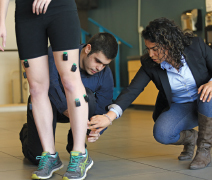 USA Today ranks Pitt among the top 10 universities in the nation for the health professions. The City Is Your Campus: Called a “Most Livable City” by Livability, Pittsburgh is a city you will be happy to call home. Medical School—Guaranteed: When you apply at Pitt, you can request to be reviewed for guaranteed admission to one of our 13 top-ranked graduate and professional schools, including Communication Science, Dental Medicine, Health Information Systems, Medicine, Nursing, Nutrition and Dietetics, Occupational Therapy, Pharmacy, Physician Assistant, Physical Therapy, and Public Health. The Medical School guarantee is our most competitive, and the application deadline is November 15. Think + Do: Challenge yourself in rigorous academic courses. Do research alongside professors who are making a difference in their fields of study. Gain clinical experience. You will leave Pitt with the knowledge and confidence that only comes with experience. Ready for Graduate School: Pitt health professions advising staff are with you from day one, and they are committed to helping you prepare for medical school or other graduate programs in the health professions. Experience the World: Pitt students can choose from study abroad opportunities in more than 75 countries around the world. The University Center for International Studies brings the world to you through academic programs and outstanding global events on campus. Panther Community: At graduation, you’ll join a worldwide network of more than 323,800+ powerful Pitt alumni. A Pitt degree will take you places, from landing that first job (94% of alumni are employed full time or enrolled in graduate school within six months of graduation) to taking the lead in business, medicine, government, and research around the world. Hail to Pitt: Much more than a rallying cheer for Pitt’s 17 Division I sports teams, Hail to Pitt is an expression of pride and affection for a place where you can have it all: the excitement of urban living with 450+ acres of green space, career-boosting internships, quiet nights studying in the Hogwarts-like Cathedral of Learning, academic rigor, and unforgettable memories with an unapologetically fun student body. The University of Pittsburgh has five campuses. The Pittsburgh campus is the largest, with 19,300+ undergraduates. With additional majors offered at the Bradford, Greensburg, Johnstown, and Titusville campuses, you will find what you are looking for at Pitt. If city living isn’t your style, one of our regional campuses with picturesque settings will surely fit your college dreams. * Students in these programs start out in the Dietrich School of Arts and Sciences and apply to transfer into the major program in their junior year once they have earned the necessary prerequisites. Think about everything you want from a college experience: Wrestling with big ideas, expanding your world, and discovering your passions. Living in an iconic American city buzzing with opportunity and adventure. Joining a tight-knit community that feels like home and becomes like family. You’ll find all of this and more at the University of Pittsburgh. It all comes together here. 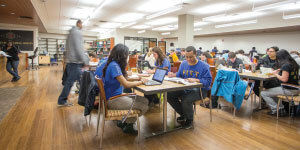 At Pitt, you have access to 100+ majors, minors, and certificates; guaranteed internships at world-class corporations and organizations; undergraduate research projects alongside faculty who are changing the world; and a community of fellow students who are just as curious and ambitious as you are. You’ll be amazed by how a top 100 research university can put so much within reach—in ways that feel truly individualized. Build the knowledge, experience, and expertise you need to succeed in the future you want.